Towson tied for ninth overall at the 2015 River Landing Classic in Wallace, North Carolina with a three-day score of 927 (313-307-307). Junior Larissa Spiess led the Tigers with a 228, putting her at 21st overall out of 68 players. Her third-round score of 71 (one under par) was the second-best in school history. After the first two rounds were played on Saturday, the Tigers sat 11th overall. Spiess played well the remainder of the tournament for Towson, helping it advance two spots on the leader board. Junior Krissy Unger tied for 36th with an overall score of 232 (77-76-79). Freshman Alexis Hios (81-76-79) and sophomore Stephanie Bosdosh (79-79-78) tied for 40th with a three-day total of 236. 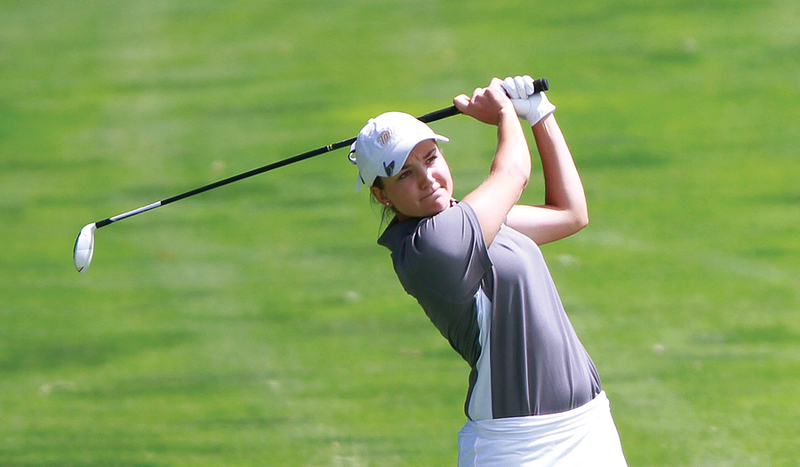 Freshman Mackenzie Rice (81-76-84) finished 50th with a 241. Columbia (299-296-291) finished first by eight strokes over Delaware (295-298-301) to take first place. “We are just going to continue working on things and stay motivated. It was good to finish with solid play going into conference,” Unger said. The Tigers will now set their sights on the Colonial Athletic Association Championships on April 17-19 in Southport, North Carolina.